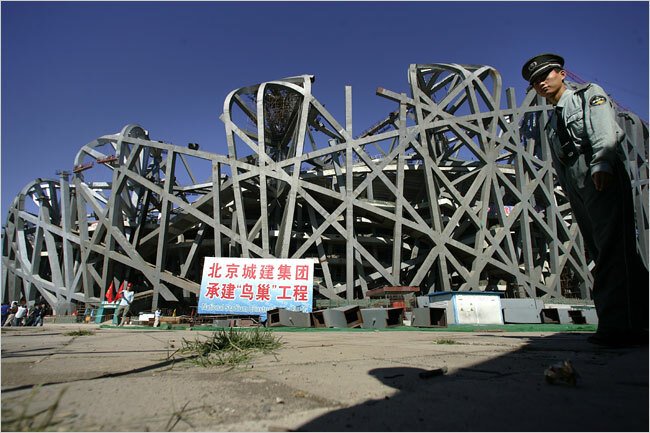 In another controversy surrounding the 2008 Beijing Olympics, Liu Zhihua, the man who oversaw Olympic building construction and was charged with corruption, now faces a suspended death sentence for two years. His offenses include taking bribes, living an opulent lifestyle, and engaging in promiscuous activities. …in June 2006, [Liu Zhihua] was stripped of his post after being linked to a bribery scandal. He was expelled from the governing Communist Party six months later. …On Sunday, Xinhua said Mr. Liu had taken roughly $1 million in bribes during his tenure as vice mayor and as overseer of construction for a scientific research park in the city’s university district from 1999 to 2006. A 2006 article by Reuters details how Hu Jintao was personally involved in dismissing Liu from his position. Analysts believe this move was motivated by Hu’s own political agenda rather than a desire to weed out corruption.